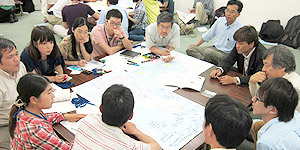 Our graduate school, the Nagoya University Graduate School of Environmental Studies, is the first interdisciplinary graduate school on environmental studies in Japan, and it consists of three departments—Earth and Environmental Sciences, Environmental Engineering and Architecture, and Social and Human Environment. Since its inception in 2001, our faculty members have been working to create new research and education programs founded upon the two main pillars of Sustainability Studies & Safety and Security Science as well as to deepen existing disciplines. To that end, we have established a new academic methodology, "clinical environmental studies," which is now practiced under the Education and Research Center for Sustainable Co-Development (ERCSCD). In addition, through some research activities of Earthquake and Volcano Research Center and various other disaster investigations by faculty members since the Sumatra Earthquake and Tsunami in 2004, we have promoted interdisciplinary disaster prevention research and education. All of these activities have been done in cooperation with each region in Japan or the world, and the benefits of its results have been passed on to each region. We recognize that one of the challenges shared by all in the 21st century is a solution to global environmental problems. In 2015, the United Nations decided the Sustainable Development Goals (SDGs) to solve some global environmental problems. 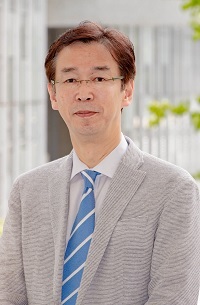 At Nagoya University Graduate School of Environmental Studies, Graduate School of Bio-agricultural Studies, Graduate School of International Development, and Institute for Space-Earth Research cooperated to establish the Research Center for Future Earth in 2018; going forward, we will set up a new study to promote SDGs under the leadership of the Research Center for Future Earth. Now, the Graduate School of Environmental Studies aims to develop human resources with creativity, application, and integration skills. For that purpose, students can accumulate knowledge in their major field through specialized classes; simultaneously, they can acquire creativity, application ability, and integration ability through interdisciplinary classes to promote cooperation between natural science, engineering, arts, and social science. It is an educational program that gives students the ability to freely guide society and organizations to a happy’ with ‘sustainable in a flexible manner, without having to limit their own expertise, covering a wide range of academic fields across disciplines. In this way, the Graduate School of Environmental Studies aims to develop diverse human resources with its curriculum. And in the development of academic activities, it is necessary for students and faculty to recognize people’s individuality with the help of the principle “ten people and ten colors (Everyone is different),” and constantly exchange views keeping in mind “two heads are better than one.” We, our faculty and students, would like to learn and talk about our dreams again.